You would be hard-pressed to find a more pluperfect World Cup qualifying system than that of South America. Whilst Europe’s is dogged with myriad dead rubbers and David-versus-Goliath ties that are so routine inasmuch as making many question the raison d’etre of international football, and Africa is lopsided by a six-game tournament which is followed by a crunch two-legged play off even for those who have won their groups at a dizzying rampage, South America is a soul-caressing paradise where you go consistent or go combust. To the uninitiated, the ten Conmebol nations join up every four years to face-off in an epic 18-game spread over 24 months that is essentially a league amongst nations. The top four nations qualify for the World Cup and the fifth faces a country from the Asian Football Confederation. Not only does this format allow sides to measure and chart their progress, like that of club sides, it also dilutes the element of luck (as we’ve seen in Africa, it’s completely possible to get lucky even if you haven’t played anywhere to your capable levels due to benefitting to the administrative incompetence of other teams – hello Cameroon and Tunisia!) and makes sure the most consistent sides in the continent make it to the World Cup. What’s more, and most importantly, it builds a narrative. Yes, the passion of the South American fans plays its part. Yes, the laudable ability of many teams of raising football to a high art form that would make the renaissance artists’ eyes water only fuels the joie de vivre exuding from the stands. But it’s the narrative which is the nucleus for the fascinating viewing. Age-old rivalries are mixed with nu-school rivalries which were borne out of frustrations in the most recent encounters. With there being no mediocre sides after the recent resurgence of Venezuela, the continent’s long-term whipping boys, the viewing only becomes more compelling. Could Africa replicate the same system? Of course, geopolitics make it impossible for Africa – and Europe – to replicate what South America can do. Conmebol only having ten members helps it run the round-robin format. With 54 full members – and needing to run a separate qualifying tournament for the Cup of Nations as well – it isn’t feasible for CAF to run a similar format. But can a creative solution be found? 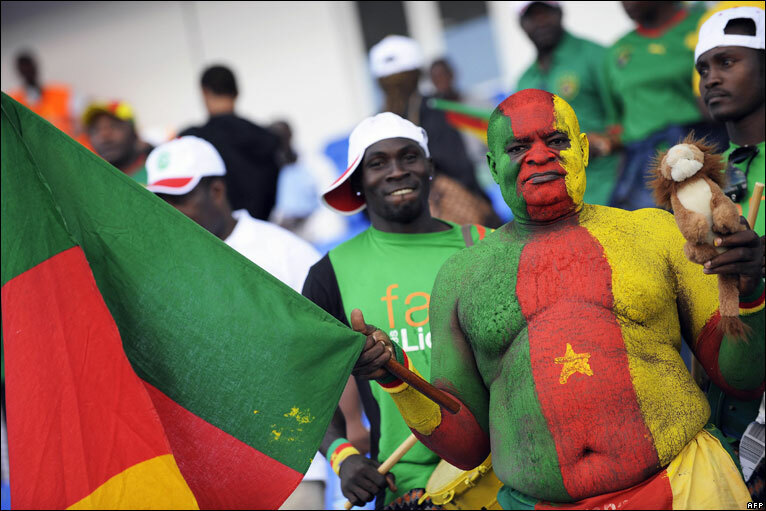 Though the biennial of the Afcon helps African nations to establish a narrative more than, say, European nations, could consistency in the group stages be rewarded? It wouldn’t be implausible to, say, whittle down to 40 members and then split those members into two groups, taking into account seedings. The top African teams haven’t improved at the rate some had forecasted, but the fact that there is an increasingly broader belt of middle-good teams is undisputable and it may make a riveting spectacle. But the aforementioned suggestion would be going to a lot of trouble just for the sake of rewarding consistency. There is much to admire about Africa’s system, and it certainly isn’t as flawed as the naysayers think (certainly not as much as Europe’s). The six-game group stage is short and sweet, not overplayed to the point where there are myriad dead rubbers, just short enough to give the ‘small’ nations a chance and the ‘big’ nations not to cross the finishing line with plenty of time to raucously laugh at the mediocrity behind them. Moreover, the majority of the countries who have made the play-off are there on merit, at least eight out of the ten are definitely the top eight teams in Africa at the moment. And few would argue about the quality of Tunisia and Cameroon on the oomph of the names on their teamsheets, even if they may have misforgivings about the avenue they reached the destination. Sure, you occasionally get a country which wins its group at a canter but then has to go through the play-off too. Take Egypt. The Pharaohs, with six wins out of six, boast a 100% record – the only side in qualification to achieve that feat – but now have to contend with a tie against Ghana. Yet, for the most perfect part, the two-legged play-off system is a great way of air-freshening the miasma of mediocrity and incompetence before it embarrasses the continent for once and for all. After all, Egypt may have won their group but, with Guinea, Zimbabwe and Mozambique for company, they were largely facing ground-floor-level opposition, and, also possessing the feat of being the play-off contenders with the weakest defence, questions persist about the state of their standard. A similar question mark persists about the Ivory Coast after a recent defensive reshuffle has seen ubiquitous holes in their backline. For all the grandeur in les Ivoriennes, the talent in the Senegal strikeforce will give their defence the mental arithmetic test to ensure that they’re well organised structurally to cope with the quality posed to them at the World Cup, if they make it. What the CAF system for World Cup qualification does well, then, is to conclude is which sides’ defences can withstand pressure when it comes to the nitty-gritty. In that sense, it’s a perfect prelude to the World Cup; ultimately, the sides which will do well will be those which possess intransigent defences and are consequently hard to beat.